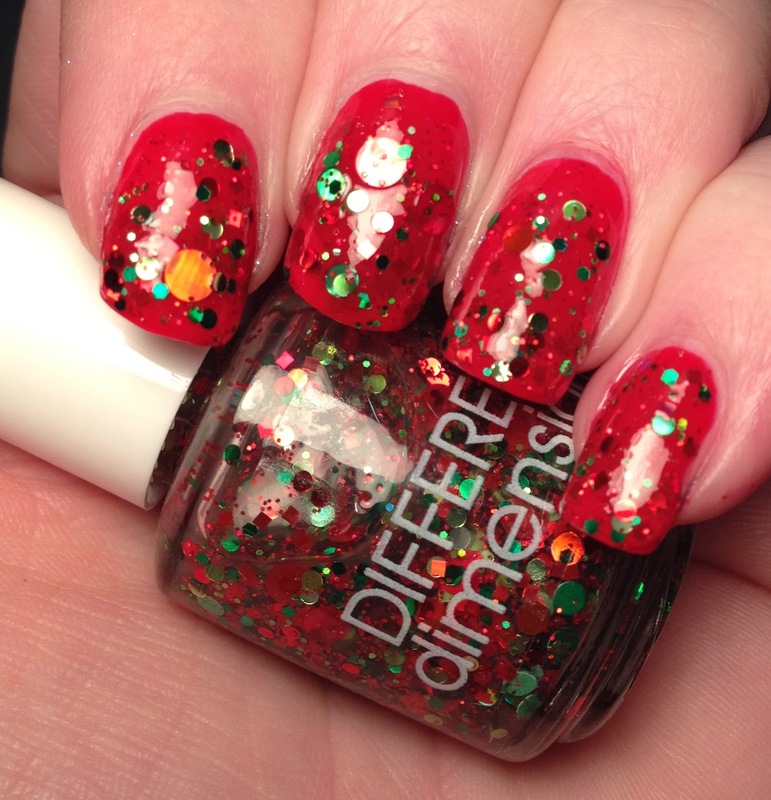 So, yea…these polishes. I cannot believe that I was sent the ENTIRE Happy Holly Days Collection for review. Missi, my dear, you are AWESOME!!!! As a side note, I don't know what is going on with my hands. They seem to be so red, I am thinking the cold weather is just doing a number on them. I can't seem to get warm lately. Just ignore the red fingers and look at the polish. Do you have any tips to help battle this? There are 11 polishes in this collection all together. I will be breaking them up unto a couple posts. Today I have four of them. 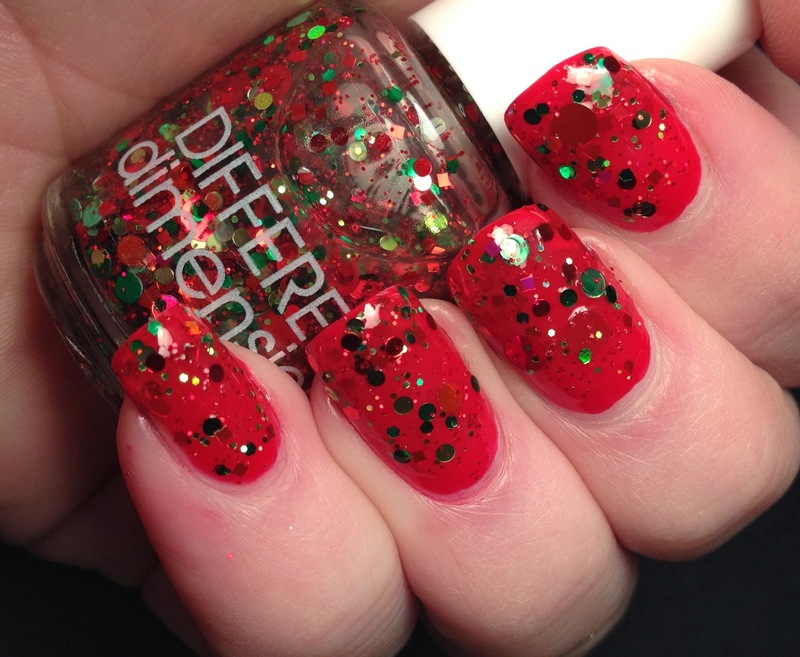 These polishes will be releases at noon on November 16, make sure you go get yours when the shop stocks them. This is Mistle-Toad. 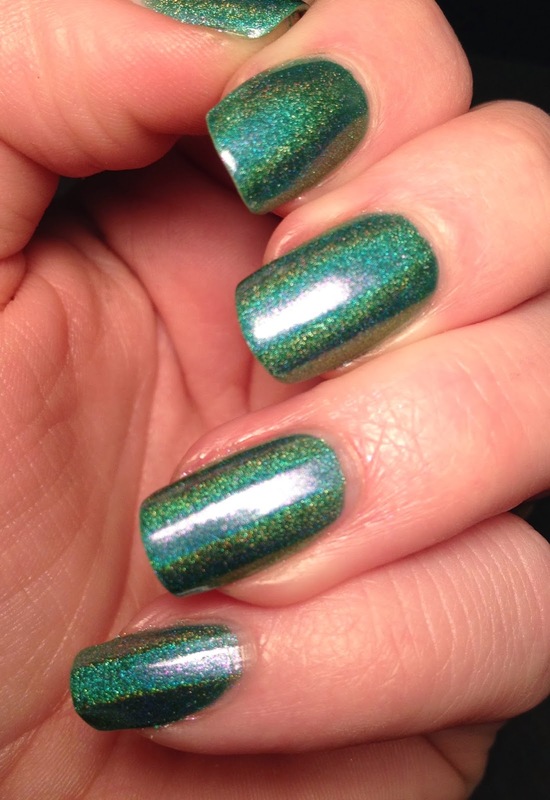 A pine green linear holographic polish with heavy pink shimmer that also gives a semi duo chrome effect. 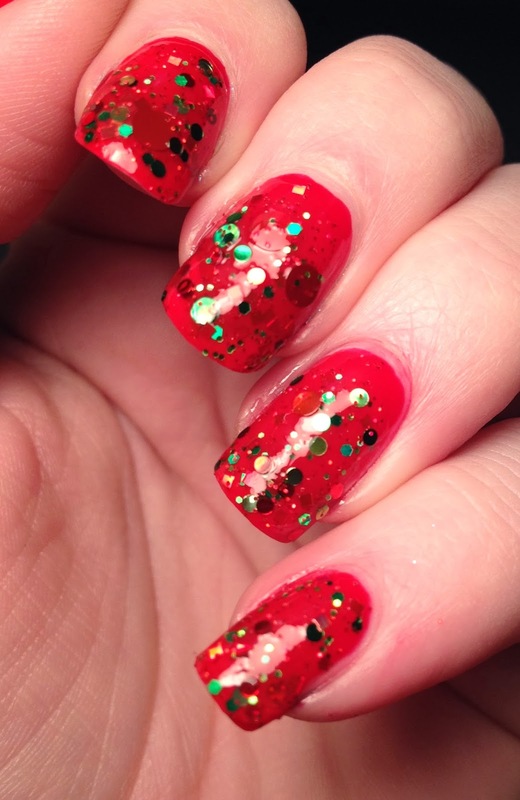 I used three coats and no topcoat for this. You can really see the pink in the middle picture. This polish was a breeze to use. Love it! 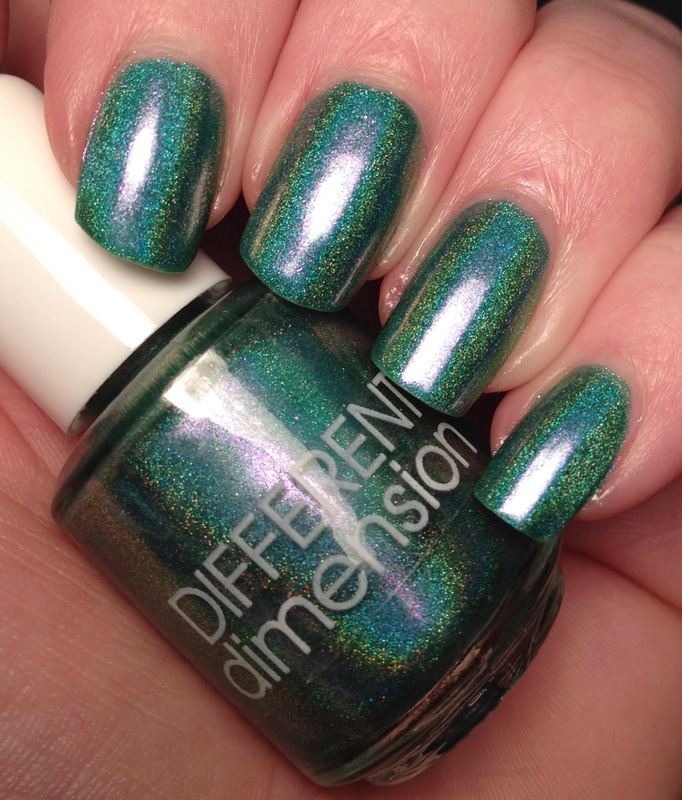 Here is This Is Not Fir This is one of the polishes I had seen from other bloggers and was excited about the possibility of seeing it in person. I have been digging jelly polishes lately. This is three semi dabbed coats over one coat of Essence Bashful. 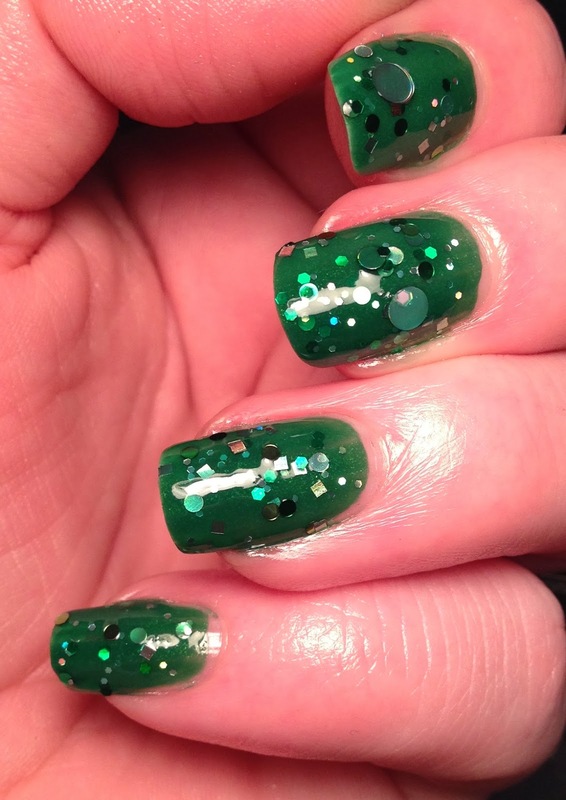 Due to the larger nature of some of the glitters I did have to do some fishing. But it was totally worth it. That's Snow Joke. 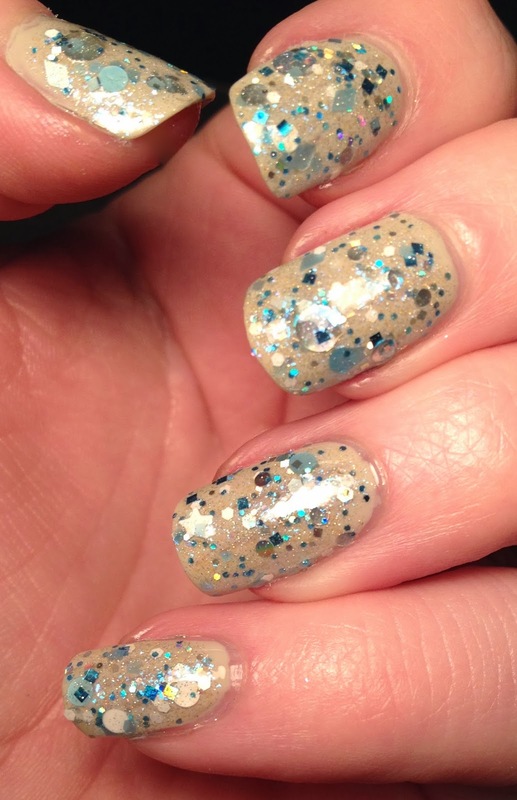 This is all sorts of blue white and silver glitters in a silvery blue base. I layered it over OPI Skull and Glossbones. It even has stars in it!!!!!! The last one for this installment is Don't Be The Santa Of Everything. Missi calls this Christmas in a bottle. I have to agree. It's red and green circles with some squares and hexes tossed in too. I paired it with Loreal Rendezvous. So shiny!!!! That is all for tonight! I am working on the next installment tonight and I will have more to share with you tomorrow!!! 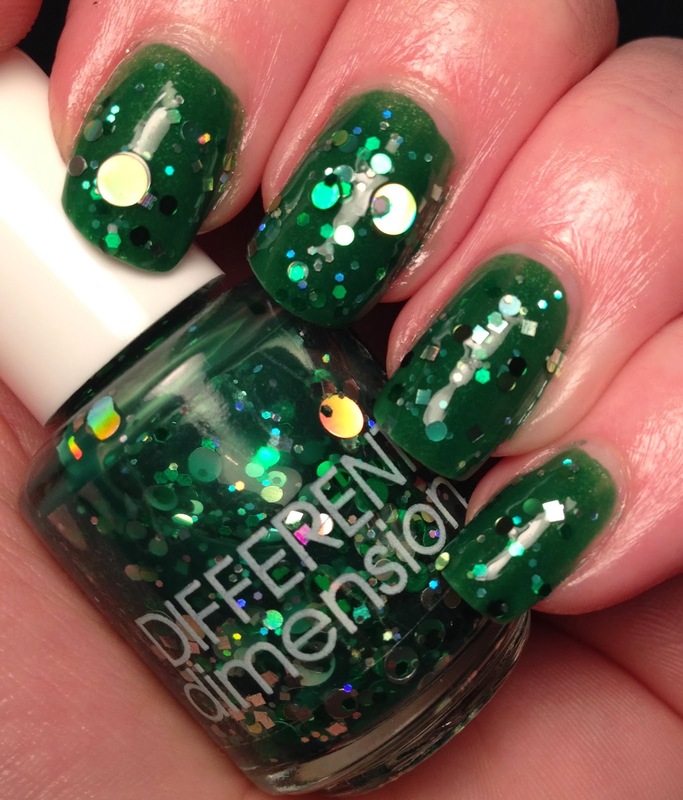 I really hoped you enjoyed this sneak peek at the Happy Holly Days COllection from Different Dimension. Oh wow, I need That's Snow Joke. It's a stunner.